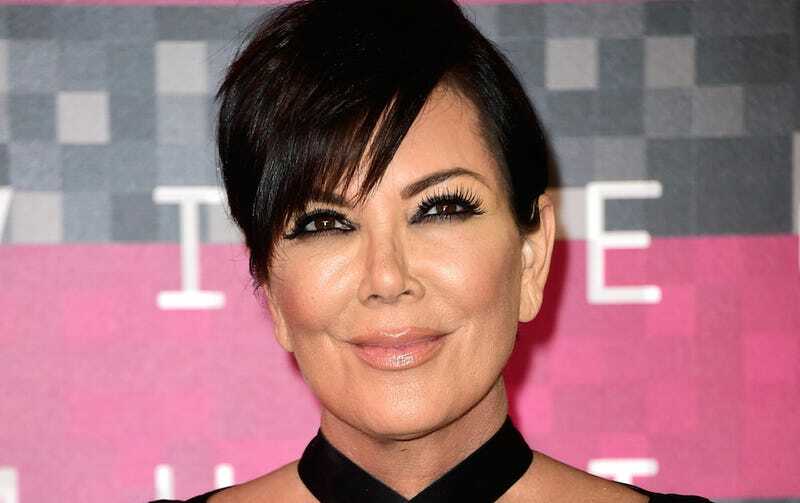 On Monday, Kris Jenner was scheduled to appear on Bachelor in Paradise: After Paradise—but paradise was lost when an unidentified insect attacked Jenner on her face and forced her lip, or lips, to “blow up”! Jenner, who was accompanied by her lesser-known daughter Kim, declined to respond, entering a black SUV silently and—as photos magnified by TMZ seem to show—completely without a bite, proving once and for all that rich people simply have better access to important, hospital grade bug-bite medications such as Caladryl and Lanacane. Looks pretty unscathed, don’t you think? And yet, Kris released a photo of the offending “spider bite” as proof, and said she was prescribed four different medicines—all top-notch, no doubt—to help cure her ailments. For more of this breaking lip story, look to TMZ, which is doing consistent, diligent work in the arena of celebrity clashes with the insect world.